Is it time your organization moved beyond spreadsheets and formulas. 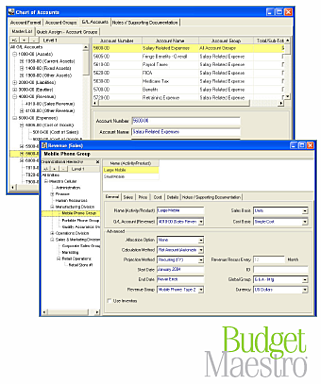 Budget Maestro budgeting and planning software products let you concentrate on the structure and performance of your business, not on troubleshooting spreadsheets one cell at a time. Budget Maestro® for SYSPRO provides a complete application that streamlines the budgeting, forecasting, and financial reporting process and offers rock-solid financial analysis enabling organizations to make better decisions for tomorrow with more accuracy. Link Maestro™ for SYSPRO provides direct connectivity to SYSPRO data facilitating an automatic exchange of financial information from SYSPRO into Budget Maestro.